CAIRO - The Islamic State of Iraq and Syria, or ISIS, has released a photo of the bomb it says was used to bring down a Russian passenger plane in Egypt's Sinai Peninsula last month, killing all 224 people on board. 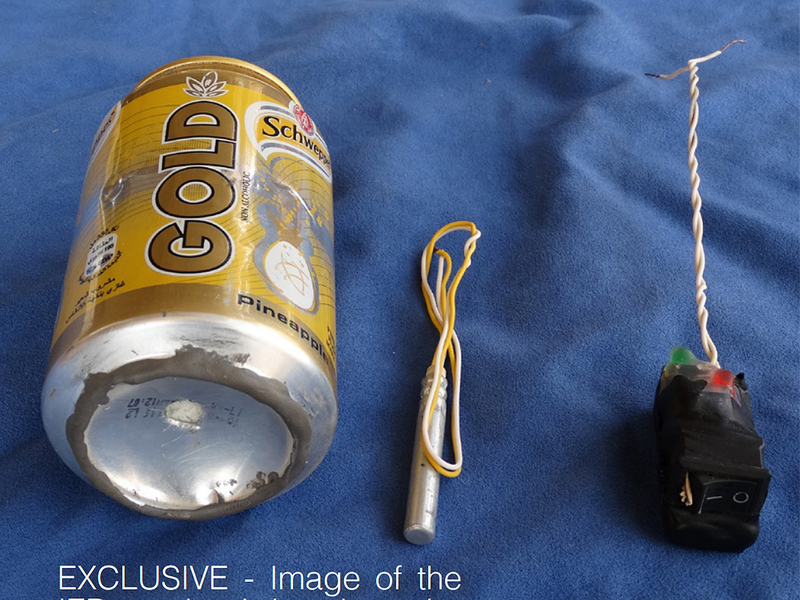 The picture showed a yellow can of Schweppes Gold, a flavored soda marketed in Egypt, and what appeared to be other bomb components made of plastic and metal. The group also published a picture of what it said were passports belonging to people who died in the plane crash. The claims have not been independently verified. Still, a U.S. law enforcement source told CBS News that an advisory was sent to U.S. law enforcement nationwide alerting them to the ISIS posting to raise awareness about what could have been used to build a bomb, CBS News senior investigative producer Pat Milton reports. The extremist group, which has a powerful affiliate in the Sinai, had previously claimed to have downed the plane, which was mainly carrying Russian tourists, without offering further details. It said the attack was to avenge Russia's air campaign against the group in Syria. The group said it "discovered a way to compromise the security at the Sharm el-Sheikh International Airport," without providing further details. It said it initially planned to bring down a plane from one of the countries participating in the U.S.-led coalition that has been striking it in Syria and Iraq. But it says it changed the target to a Russian plane after Moscow began launching airstrikes in Syria in September. Russia's FSB security service said Tuesday that a bomb brought down the plane. Western officials had earlier said they suspected a bombing. Egyptian authorities have declined to comment on what caused the crash, saying a multi-national investigation is still underway. Earlier Wednesday, Egyptian President Abdel-Fattah el-Sissi told Russian President Vladimir Putin that Egypt understands the Russian people's pain. Egypt's presidential spokesman Alaa Yousef confirmed the two leaders spoke by phone Wednesday in a statement that made no mention of a bombing. Suspicions that a bomb caused the crash have led to flight cancellations to and from Egypt and dealt a major blow to its vital tourism industry. The U.K. banned flights to Sharm el-Sheikh, where the plane had taken off, on Nov. 4. Russia banned all flights to Egypt a day later, and last Friday it banned Egypt's national carrier from flying to Russia.